Women’s Commission Development Team : Tour of Omagh. The Tour Of Omagh Selection Criteria defines the process by which a rider is selected for the cycling discipline following successful qualification. Only athletes who meet the requirements of the Women’s Cycling Ireland Eligibility Criteria as outlined will be considered. 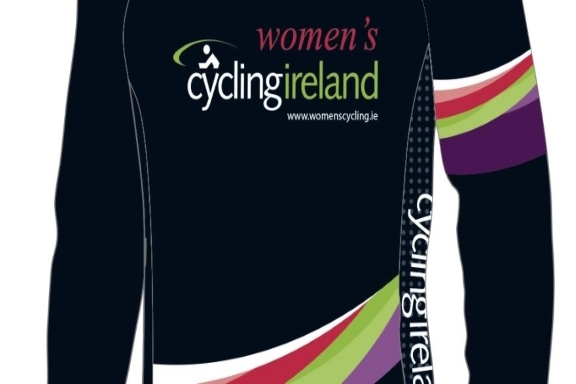 The purpose of the selection criteria as outlined in this document is to select riders best capable of performances for the Cycling Ireland Women’s Commission. Preference will be given to W2,W3 & Junior Riders (1:2:2). A minimum of 1 x W2 rider and a minimum of 2 x Senior W3 riders will be selected. The team will include at least 2 x Junior riders. (subject to that number of applications being received). Selection for the available places will be made in accordance with the decision-making matrices listed . The Women’s Commission reserve the right to call fitness tests/trials to confirm a rider’s form within the preparatory period leading up to the event in which the rider is entered and to substitute a selected rider with a reserve if the outcome of the test/trial is not satisfactory. The Women’s Commission will nominate the selected riders in accordance with the timetable outlined. The appeal shall detail where, in the opinion of the appellant, the Selection Panel have failed to adhere to the selection criteria or failed in their duties as detailed under the Grounds for Appeal. Only one appeal per rider is permitted and this must be specific in detailing where, in the opinion of the appellant, the W.C. Selection Panel failed in their responsibilities. Costs accrued by the appellant shall be met by the appellant. a. Does the rider hold a current C.I licence which permits them to race in the discipline they are being considered for and which has a UCI licence code. b. Has the Rider completed Application Process , Including Expression of Interest Email , Application Email & Deposit Paid on time. c. Has the rider signed or willing to sign Cycling Ireland’s Code of Conduct for riders? Not all the quotas for the various events may be filled in either road or track events due to the minimum points standard required. Riders may be selected or eliminated due to the grading mix requirement within the team (W2/W3/Jnr), as defined earlier. Has the Athlete supported previous Women’s Commission initiatives, including events & Training days (20).